FOUR-YEAR-OLD twins who were swept out to sea on an air mattress and four men – including their father who attempted to rescue them – were recovering from their ordeal last night thanks to the efforts of local rescuers who saved them. The drama unfolded at around 8.20pm on Monday after the local lifeguard went off duty at 7pm. 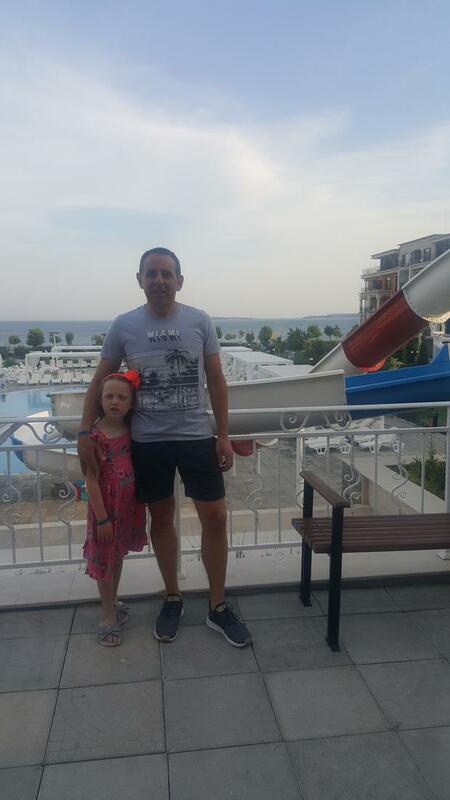 Father-of-three John Byrne (45), from Duncannon, Co Wexford, was at Duncannon beach with his wife, Sabrina, and their young children when they spotted the toddlers drifting out to sea on an air mattress. Sabrina rang the Irish Coast Guard while another local woman alerted the local Fethard RNLI. The terrified twins were floating perilously out to sea toward the main shipping channel of the harbour, which is about 30 to 40ft deep, Mr Byrne said. “The wind caught them and, before they knew it, they were out about 400 metres from shore,” hero Mr Byrne told the Independent.ie last night. Four men, including the girls’ father, frantically swam out to reach them. The father took one of his daughters off the mattress and headed back to shore with her. Meanwhile a local windsurfer, who managed to reach the air mattress, held onto the other girl and another swimmer who swam out to help, until local RNLI volunteer Hugh Burke reached them in his rescue boat and took them to shore. The father and daughter both took in water and were suffering from hypothermia on the way back to shore when another local swimmer reached them. The swimmer took the girl back to shore but got into trouble himself when he returned to the water to rescue the father. Mr Byrne, meanwhile, swam out and managed to rescue both the father and the other swimmer. At the same time, a kayaker managed to rescue another swimmer who entered the water to help but got into difficulty. Mr Byrne, who is a strong swimmer, said the terrifying ordeal took place in the space of just 10 minutes. “These are big, fit guys and they just got caught,” he said. The Dunmore East Coast Guard and RNLI treated the casualties at the scene, before they were taken to hospital for treatment. However, if it wasn’t for the efforts of Mr Byrne and the other locals, the outcome would have been very different, “John definitely saved two lives,” said Mr Burke. Laura Lynott Despite heavy downpours and flooding in some parts of the country, water restrictions and the hosepipe ban are to remain in place for weeks. Kathy Armstrong Aldi has scrapped plans to sell a paddling pool due to the water restrictions that are in place, a spokesperson for the retailer has confirmed. Paul Melia Pubs, hotels and nightclubs face having have no water at night at the height of the busy tourist season.